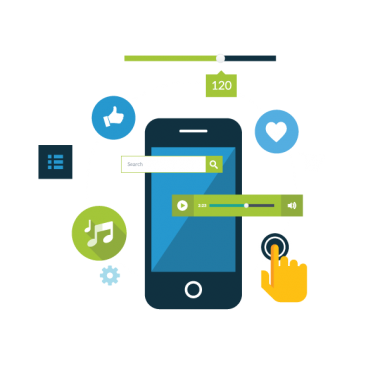 Services: Mobile Marketing | Ishal Inc. The number of smartphone users is continuously growing and it far outnumbers PC users, which is why the possibility of reaching the audience of this channel should not be ignored. Turn your idea into highly converting & feature rich mobile application or website. Experts in developing websites, our implementation services are tailored to meet your individual needs. Both a mobile site and responsive design will optimize your site to be more appropriate for smaller screens; both will offer simpler navigation and faster load times. We provide a bespoke analysis of your mobile development strategy tailored to meet business needs. Don’t miss out on a huge business opportunity – go mobile! We know the potential for mobile application and websites for business success that's why our mobile websites and apps are based on accurate targeting. Design widely compatible, quality and performance-centric mobile apps of the future. Streamline routine tasks for optimum results. Contact Ishal Inc. and we will provide a Mobile Websites and Applications that will bring significant returns on investment. ©2007-2019 Ishal Inc. All Rights Reserved.